Jay-Z decided to take the good old tube train in London from Waterloo to his concert at the O2 Arena in London earlier tonight. 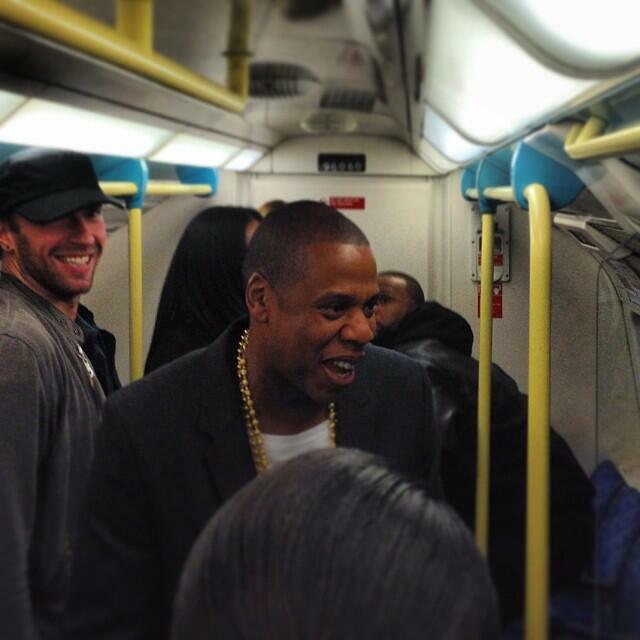 He was joined by Timbaland, Coldplay’s Chris Martin, his friend Ty Ty and others for the 6 stop ride on the Jubilee line. Fellow passengers must have got the shock of thier lives when they saw Jay! Photo above by Jamie. Check out more pictures below. DONDA has done it again! Kanye West went on Twitter earlier today to reveal the cover art for Pusha T‘s newest album, “My Name Is My Name.” Kanye’s creative company DONDA has produced two album covers for the fellow G.O.O.D. Music rapper, both in a bold black and white. 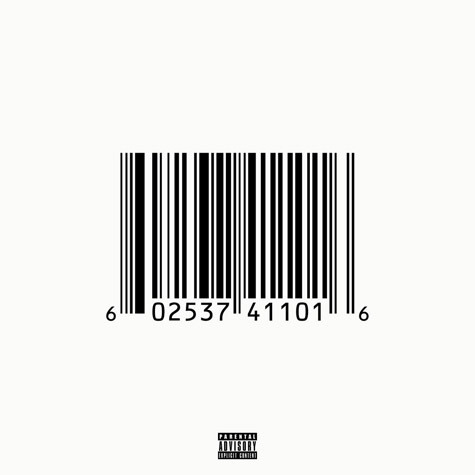 The first cover displays a barcode with the usual series of numbers, the second shows Pusha T with his head tilted back. 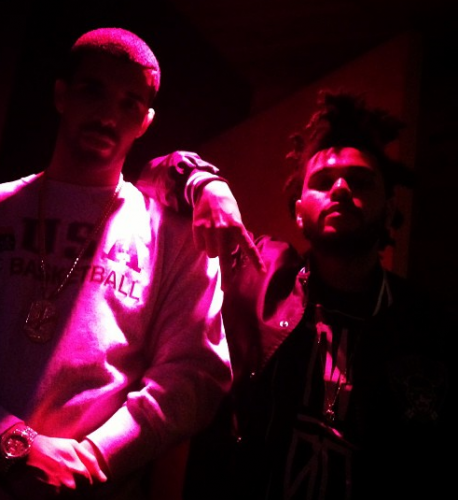 Drake has reunited with The Weeknd after they were rumoured to have beef. A new picture shows them in the studio together. Hopefully we get to hear some new music soon. Kanye West celebrated his 36th birthday last night at New York’s Jamaican restaurant Miss Lily’s. 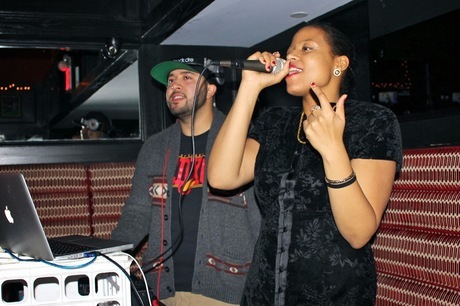 He had star studded guests including Jay-Z, Beyonce and Nas. 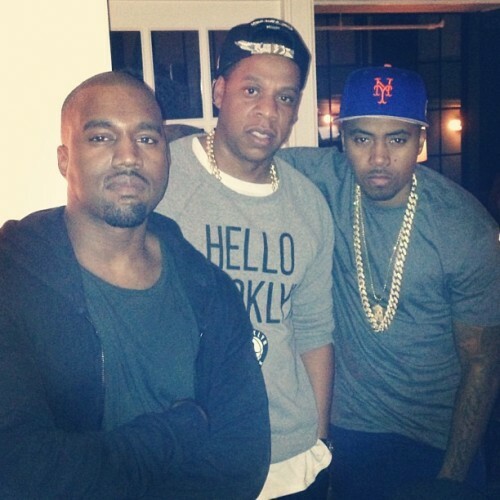 Yeezus x Hov x Godson …. The 3 Gods. Happy Birthday to my brotha Kanye! Nas posted the legendary picture above on his instagram. Check out a further picture below with the addition of Beyonce. 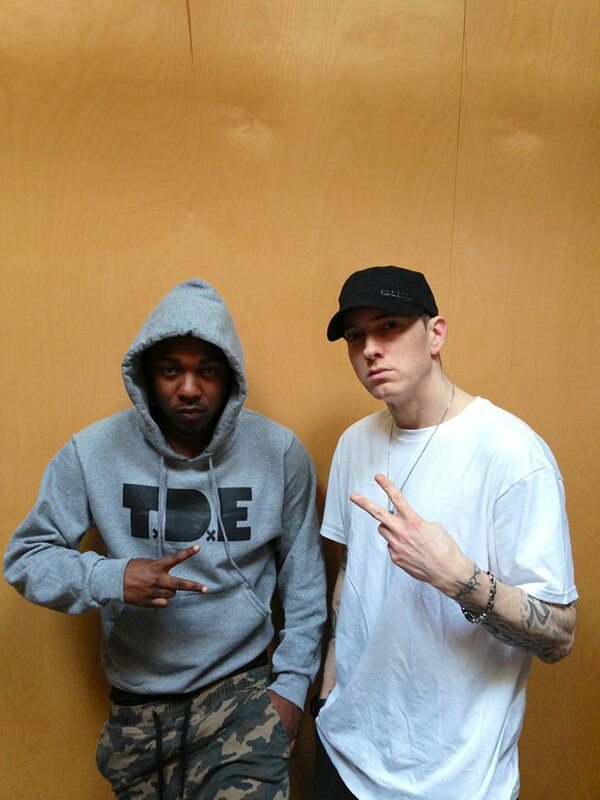 Before his show in The D, Kendrick Lamar stopped by to hang out. No news if they actually had time to record a track. After the jump check out a further picture of Eminem, Royce and Mr Porter with the whole of the Black Hippy family.